Do you have the checks and balances in place to make sure you start the renewal process in plenty of time to stay current and legal? Think it will never happen to you? If you think it can't possibly happen to you, just check the Medical Board Examiners monthly disciplinary report and see how often it happens to some of our peers who probably thought the same way. The process is easy, but takes about a month to complete and it's OUR responsibility to make sure all the t's are crossed and all i's dotted in plenty of time to avoid any lapses. The "our administrative lady forgot" or "the application was lost in the summer mail" excuse won't cut it; the State board doesn't play. All therapy charges are dropped, we can't work and then there's that little thing called a fine. By the way, did you know the fine is up to $1,000.00??? The Medical Board, like us, is fully committed to the safety of all under our care and working on an expired license is illegal practice. At the end of the day it's not complicated; its just professionals being professional. The above referenced article is in response to allegations made by several student-athletes from Indiana University. This was brought to light by the firing of Indiana University’s head football coach, Kevin Wilson, following a series of issues regarding the treatment of injured athletes. One such maltreatment allegation included Katlin Beck, a rower on the 2013-2014 Indiana University Crew team. She went to the medical director of Hoosier Athletics for low back pain. She was prescribed physical therapy, conditioning modifications, and hydrocodone. She was compliant with all medical direction except the hydrocodone, which she refused to take due to the possibility of addiction and symptom masking. Her pain persisted for several weeks with no improvement, so she saw another IU physician, and then a third. The third physician informed her that the probable cause of her low back pain was tight hamstrings. By this time, her coach doubted the severity of her injury and “isolated” her from the team along with the other injured athletes. She was denied team gear for not meeting practice goals. According to the ESPN Outside The Lines article, Hoosier athletes are instructed to see athletic department and school approved physicians and not personal physicians. Ms. Beck, frustrated with 15 months of pain and having seen three IU physicians, sought help from an outside spine specialist. This physician diagnosed her with a significant lumbosacral injury so severe that she was instructed to stop rowing immediately. She was told that scar tissue was the only thing connecting her lumbar spine to her sacrum. The prevalence of maltreatment of IU athletes was well known throughout the athletic department and with the firing of head football coach Kevin Wilson, an investigation of other incidences began. The result of an investigation of the football program determined the athletes had not received improper care and the coaches had not exerted pressure on the medical staff. It did note, however, “behaviors by the coaching staff that may create an unhealthy environment for players”. With these occurrences brought to the publics attention, many changes have been implemented. One such change is employing physicians through Indiana University and naming a Chief Medical Officer. The take away from these incidences is that we, as healthcare professionals are the first line of defense and support of the athletes in our care. The presence of overbearing coaches and others, as well as insufficient follow-on care, can make the lives of the athletes difficult and in some cases unhealthy. Our role as advocates should provoke us to action to ensure the recovery, health, and performance of those we care for. Robert Back Case: Athletic Trainer Testifies She Didn’t Know About Concussion Diagnosis. The article referenced above relates the testimony of Jessica Klette, ATC, Athletic Trainer for Benefis Health System and Belt High School in Belt, MT. In September 2014, Robert Back, a 16 year old high school football player, suffered head trauma in a football game. It is claimed he should not have been playing in this football game due to a previous concussion diagnosis. Reports and testimony state that he suffered a concussion prior to that game and through communication breakdowns between the coach, athletic trainer, parents, and physicians, was allowed to participate in the game. Several issues are brought up in this article. Two: Lack of communication between the Athletic Trainer and the athlete's parents. Three: Coach was allowed to oversee a post injury ImPact test. Four: Lack of apparent responsibility per the athletic trainer's contract to communicate with anyone except the school and coach regarding athlete medical issues. Many lessons can be learned from this incident. Maintaining open lines of communication with everyone directly involved in the athletes’ wellbeing (coach, parents, and physicians) could prevent or at least reduce mistakes such as these. Contractual obligations should not preclude an AT from communicating. Non-medical professionals should not have access or be allowed to administer diagnostic testing on any athlete. Lastly, we should all remember to be an advocate for the athlete. In addition to maintaining their own ethical practices, athletic trainers may find themselves in the predicament of witnessing another athletic trainer, coach or other professional engaging in unethical behavior. When this happens, what is your role? Should you report the behavior, or simply brush it off as none of your business? The best answer might be somewhere in between. When I was a high school athletic trainer I was faced with such a dilemma. I had been at the school for several years and had built up a lot of trust with my athletes. Most of them were comfortable enough with me that they would talk to me about almost anything. One day an athlete came to me and said she needed to talk but wanted me to promise not to tell her parents. I was very wary of the situation, I wanted her to feel like she could come to me with problems but I wasn’t sure I was comfortable with the idea of having to keep something from her parent. In the end, curiosity won me over and I decided to hear her out. The athlete proceeded to tell me that she had been feeling awful all day. She had the worst headache she remembered ever having and even the thought or sight of food make her feel sick. Upon further investigation, it turned out that the athlete had her first experience with alcohol the night before and she had a hangover. I informed her that this was her body’s reaction to drinking too much and promised that I would not tell her parents. However, as the athlete elaborated on her story of the previous night’s events, it was revealed that the alcohol had been provided to her by one of her assistant coaches. This coach had graduated from the same high school a few years earlier and had returned to help coach her team. At this point in the conversation I knew this had escalated way past not telling a parent that their daughter had been drinking. I knew that I could no longer keep this to myself and informed the athlete of this. At first she was upset that I was no longer going to keep her secret, but after I explained my dilemma, and why it was inappropriate for the coach to provide her with alcohol she understood. At this point, I met with the head coach and let her know what had happened and let her handle the situation from there. In this particular situation I felt it was my duty to let the head coach know that one of her assistant’s wasn’t behaving in a way that he should be with his athletes. 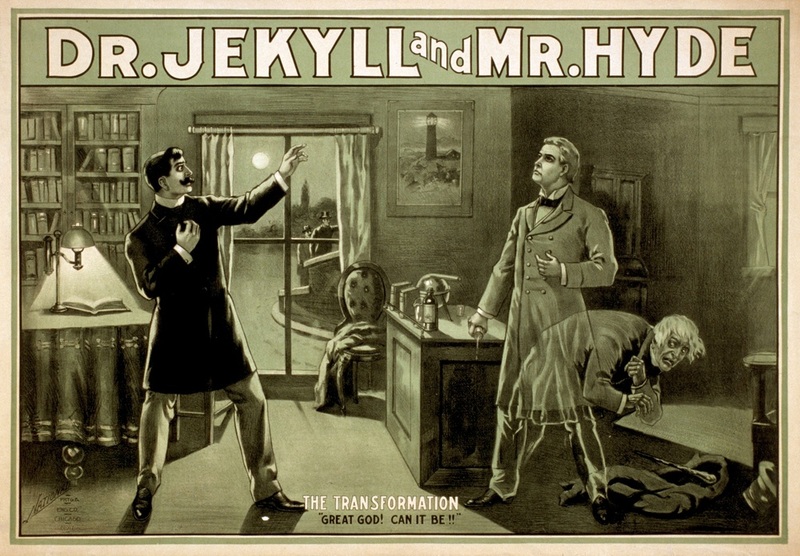 A ‘Jekyll and Hyde’ is one who has a dual personality that alternates between phases of good and bad behavior (www.merriam-webster.com). Every component of athletic training is people-oriented. Risk management and injury prevention, clinical examination, acute and chronic injury care, therapeutic exercise, nutrition, psychosocial intervention, and many other aspects in the AT job description all require effective communication skills. The wheels of the athletic medicine bus can fall off when a Jekyll and Hyde personality exists among the healthcare team. You know that person, the one who you never know who you are going to get from day-to-day, so you tip-toe around gingerly, hoping to avoid the wrath. This is the individual who thinks that the ‘golden rule’ is something to be mocked at, when things do not go his or her way. Unpredictable behavior of this nature often interferes with trust (by colleagues, AT students, and athletes) and can substantially interfere with the effective delivery of health care. Certainly, the profession of athletic training is not for the faint of heart. The world of sport competition is filled with extreme pressures to perform which can have a negative impact on all individuals working within the system. Developing a thick skin is a must, but tolerating belligerent outbursts from people of power is an abuse and should not be accepted or condoned (either actively or passively). Simply because someone can get away with abusing his or her power demonstrated through a lack of self-control, does not make it right. An AT must learn to be flexible to work with all different kinds of personalities, and approach each individual and situation with professionalism, respect, confidence, and a positive attitude. Compromising one’s ethical standards; however, should not be part of the employment agreement. Although many disagree with this philosophy, a career, athletic training, should be what you do, not who you are. 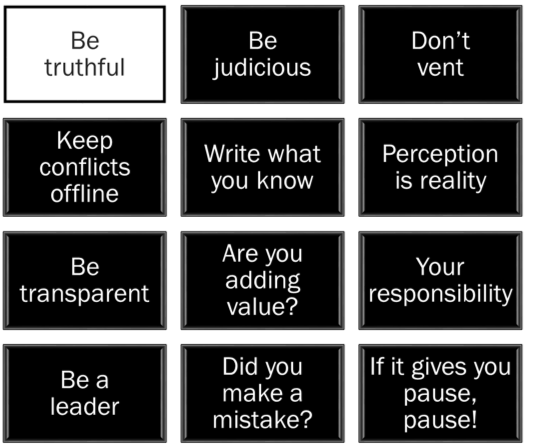 Who you are and the moral compass that guides you should govern your career. Are you the same person, both in an out of the work-setting? If not, why? Is it difficult to treat people in the work setting with the same kindness that you would a friend or family member? If so, again, why? Consistency is paramount in establishing trust and a good rapport. We all have bad days and say or do things that should not have been said or done, so we need to embrace forgiveness. Be unyielding in your ethical standards, be consistent, be approachable. At the end of the day, it’s not about perspective or opinion, but the uncompromised welfare of the athlete. We all cringe when having to work with a Jekyll and Hyde personality. Don’t be one of them!